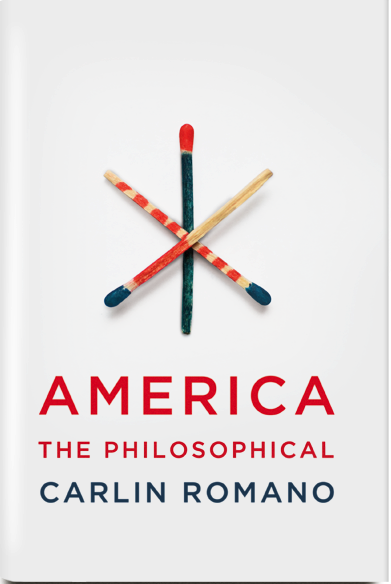 Carlin Romano’s book America the Philosophical (Knopf, 2012), opens with an acknowledgement that American culture is not widely perceived, even by Americans, to be very philosophical. He quotes Alexis de Tocqueville’s observation that “in no country in the civilized world is less attention paid to philosophy than in the United States” (p. 5) as well as Richard Hofstadter’s observation in Anti-Intellectualism in American Life (Knopf, 1963) that “[i]n the United States the play of the mind is perhaps the only form of play that is not looked upon with the most tender indulgence” (p. 3). Romano observes that while in England philosophers “write regularly for the newspapers” and that in France philosophers appear regularly on television, “[i]n the world of broader American publishing, literature, art and culture, serious references to philosophy, in either highbrow or mass-market material barely register” (p. 11). Yet despite these facts he boldly asserts that the U.S. “plainly outstrips any rival as the paramount philosophical culture” (p. 15). I know Romano. I’m on the board of the Greater Philadelphia Philosophy Consortium and Romano has attended some of our meetings. He’s an affable guy, so I was predisposed to like his book despite its wildly implausible thesis. Maybe there is a sense, I thought to myself, in which Americans are more philosophical than people in other parts of the world. We tend to be less authoritarian, I realized hopefully, and authoritarianism is certainly antithetical to genuine philosophical inquiry. Unfortunately, I didn’t have to reflect long to realize that we tend to be less authoritarian than other peoples because we have little respect for learnin’, especially book learnin’. We don’t believe there really are such things as authorities. How is it possible that the U.S., despite all the evidence to the contrary that Romano marshals, can be “the paramount philosophical culture”? Romano’s answer is that the evidence that suggests we are not philosophical consists of nothing more than “clichés” of what philosophy is. He asserts that if we throw out these “clichés” and reduce philosophy to “what philosophers ideally do” (p. 15), then it will become obvious that America is the “paramount philosophical culture.” That is, Romano makes his case for America the Philosophical by simply redefining what it means to be philosophical, which is to say that he simply begs the question. According to Romano what philosophers ideally do is “subject preconceptions to ongoing analysis.” But do most Americans do this? It’s not clear to whom he’s referring when he asserts that Americans are supremely analytical. Some Americans are very analytical, but the evidence is overwhelming that most are not. Public discourse in the U.S. is littered with informal fallacies such as ad hominen, straw man, and post hoc, ergo propter hoc arguments that are almost never exposed as such. Americans like to “think from the gut”–which is to say that they tend not to care much for reasoned analysis. Even if most Americans were analytical in this sense, however, that alone, would not make them philosophical. Subjecting preconceptions to ongoing analysis is certainly part of what philosophers do, but it isn’t all they do. Philosophers have traditionally pursued the truth. That, in fact, is the classical distinction between the genuine philosophers of ancient Greece, figures such as Socrates and Plato, and the sophists. Socrates and Plato were trying to get at the truth. The sophists, on the other hand, were teachers of rhetoric whose primary concern was making money (not unlike for-profit educators today). They were characterized, in fact, as advertising that they could teach their pupils how to make the weaker argument appear the stronger. That is, they taught persuasion with relative, if not complete, indifference to the actual merits of the arguments in question. That’s why they were reviled by genuine seekers after truth. Romano is unapologetic in presenting his heroes as the sophist Isocrates and the “philosopher” Richard Rorty. He devotes a whole chapter of the book to Isocrates, attempting to defend him against the characterization of sophists presented above. He does a good job of this, but at the end of the chapter, the fact remains that Isocrates was far more practical in his orientation than was Socrates (or any of his followers). “Socrates,” observes Romano, “in the predominant picture of him drawn by Plato, favors discourse that presumes there’s a right answer, an eternally valid truth, at the end of the discursive road. Isocrates favors discourse, but thinks, like Rorty and Habermas, that right answers emerge from appropriate public deliberation, from what persuades people at the end of the road” (p. 558). But people are often persuaded by very bad arguments. In fact, one of the reasons for the enduring popularity of the informal fallacies mentioned above is how effective they are at persuading people. Truth has to be more than what people happen to agree it is. If that were not the case, then people would never have come to consider that slavery was wrong, and slavery would never have been abolished. It won’t work to point out that slavery was abolished precisely when the majority of humanity was persuaded that it was wrong, and not simply because masses of humanity had to be dragged kicking and screaming to that insight, but primarily because someone had to do the dragging. That is, someone, or some small group of individuals had to be committed to the truth of a view the truth of which evaded the majority of humanity and they had to labor tirelessly to persuade this majority that it was wrong. Right answers have to be more than “what persuades people at the end of the road” (unless “end of the road” is defined in such as way as to beg the question). The sophists were the first PR men, presenting to young Athenian aristocrats the intoxicating vistas of what can be achieved through self promotion when it is divorced from any commitment to a higher truth. In that sense, Romano is correct, Isocrates, to the extent that he elevates what actually persuades people over what should persuade them, is more representative of American culture than is Socrates. But is it fair to say that most Americans are followers of this school of thought in that, like Isocrates and Rorty, they have carefully “analyzed” traditional absolutist and foundationalist accounts of truth and found them wanting, that they have self consciously abandoned the Enlightenment orientation toward the idea of the truth in favor of a postmodern relativism or Rortyan pragmatism. There’s a small portion of American society that has done this, a small sub-set of academics and intellectuals who’ve fallen under the Rortyan spell. Most Americans have never even heard of Richard Rorty, let alone self-consciously adopted his version of pragmatism. is an excellence of mind that is employed within a fairly narrow, immediate, and predictable range; it is a manipulative, adjustive, unfailingly practical quality—one of the most eminent and endearing of the animal virtues. …. Intellect, on the other hand, is the critical, creative, and contemplative side of mind. Whereas intelligence seeks to grasp, manipulate, re-order, adjust, intellect examines, ponders, wonders, theorizes, criticizes, imagines. Intelligence will seize the immediate meaning in a situation and evaluate it. Intellect evaluates evaluations, and looks for the meanings of situations as a whole. Intelligence can be praised as a quality in animals; intellect, being a unique manifestation of human dignity, is both praised and assailed as a quality in men (p. 25). These characterizations of intelligence and intellect seem fairly uncontroversial, and according to them, philosophy would appear to be an expression of intellect rather than intelligence. 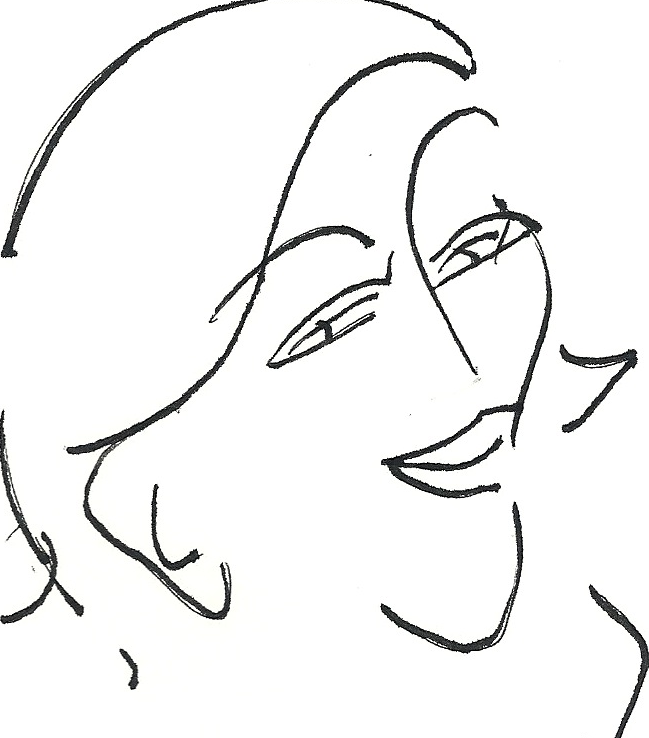 That is, it’s possible to be intelligent, indeed to be very intelligent, without being at all intellectual. Hofstadter asserts that while Americans have unqualified respect for intelligence, they are deeply ambivalent about intellect. “The man of intelligence,” he observes, “is always praised; the man of intellect is sometimes also praised, especially when it is believed that intellect involves intelligence, but he is also often looked upon with resentment or suspicion. It is he, and not the intelligent man, who may be called unreliable, superfluous, immoral, or subversive” (p. 24). What, you may wonder, does Romano think of this argument? That’s hard to say because the only references to Hofstadter in the book are on pages 3 and 8. His name is never mentioned again, at least not so far as I could tell, and not according to the index. Conspicuously absent from the index as well are both “intelligence” and “intellect.” Romano has written an entire book of over 600 pages that purports (at least according to the intro) to refute Hofstadter’s argument that Americans are generally anti-intellectual without ever actually addressing the argument. Now that is clever! It’s much easier to come off looking victorious if you simply proclaim yourself the winner without stooping to actually engage your opponent in a battle. It’s kind of disingenuous though and in that sense is a strategy more suited to a sophist than to a genuine philosopher.